Mustafa Babanli, Azerbaijan State Oil and Industry University, Baku, Azerbaijan. Araz Aliev, Azerbaijan State Oil and Industry University, Baku, Azerbaijan. Ehsan Mousavi Khaneghah, Azerbaijan State Oil and Industry University, Baku, Azerbaijan; Shahed University, Tehran, Iran. Rajkumar Buyya, University of Melbourne, Melbourne, Australia. Production: Azerbaijan State Oil and Industry University, Baku, Azerbaijan. ISSN: 2616-6127 (print), 2617-4383 (online). Publication Frequency: 2 issues (print and electronic) per year. Current Issue: Volume 1, Number 2 (2018). Increase complexity of natural phenomenon descriptor models, the number of variables governing natural events, and the use of High Performance Computing Systems to discover the rules governing natural events, the cause is learning and using parallel computing as a basic skill needed by all scientists, researchers and active people in a variety of industrial fields. High Performance Computing Systems have entered the era known as the Exascale era. In this period, knowledge of High Performance Computing Systems has become a strategic and necessary requirement for universities, research centers, and countries. Radical changes made in various fields of science, industry and the need to design and develop High-Performance Computing Systems. Changes made in this subject is so effective and fundamental. There is no industrial and scientific area that does not require knowledge of High Performance Computing Systems. 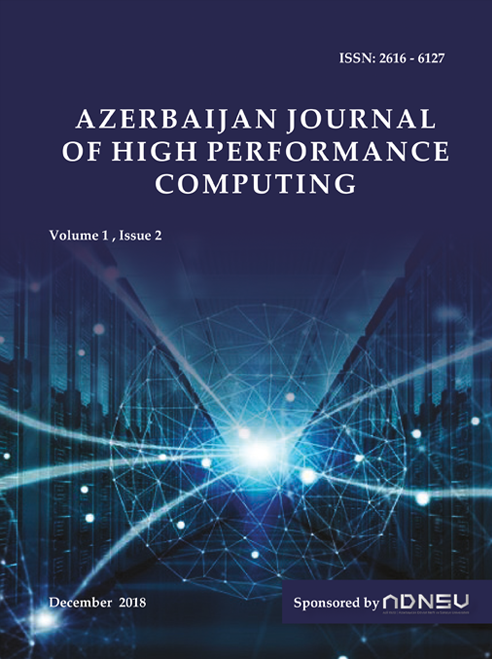 In this regard, the ASOIU, as one of the leading universities in the Republic of Azerbaijan, has been developing a comprehensive program for knowledge acquisition of High Performance Computing Systems. The journal has also been published to enhance knowledge and collaborate with all scientists, researchers and industrial activists in the field of High Performance Computing Systems. Therefore, by inviting all researchers to submit their scientific and applied research results, we are ready to cooperate in different fields and welcome the suggestions of cooperation in the field of High Performance Computing Systems. AzJHPC will be published biannual, available online. The ASOIU is a sponsor of the AzJHPC.